Have you heard of topdressing before? Topdressing is a concept that has been around for many decades and a key element to keeping golf courses lush and healthy. Turns out, they’re not the only ones benefitting from this technique. Many home owners, farmers, and businesses are using compost to bring their lawns back to life! This concept is extremely beneficial to lawns or fields that undergo fair amounts of foot traffic. Foot traffic causes soil to become compacted, resulting in decreasing amounts of vegetative coverage. Topdressing a lawn is the process of adding a thin layer of compost over the grass. Typically, 1/4 to 1/2 inch of compost is spread across the are with shovels, in a throwing action. The compost can then be worked into the grass by raking, washed in with rain or sprinklers, or allowed to settle on its own. This is a great alternative to the environmentally-threatening lawn care chemicals that are out there. So, what are the benefits? 1) Topdressing can improve soil biology by adding organic matter and the beneficial microorganisms found in compost. 2) Topdressing regularly can smooth out bumps in the lawn caused by worm castings. 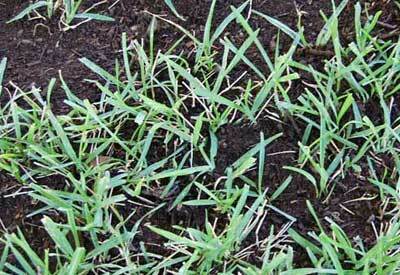 3) Reduces lawn stress and acts as a natural, organic fertilizer. 4) Topdressing with the right biological components can help reduce and prevent lawn diseases. 5) Adding compost helps reduce traffic stress. 6) Compost incorporated into heavy soils helps relieve compaction problems. HOW IS COMPOSTING RELATED TO CROSS COUNTRY SKIING?